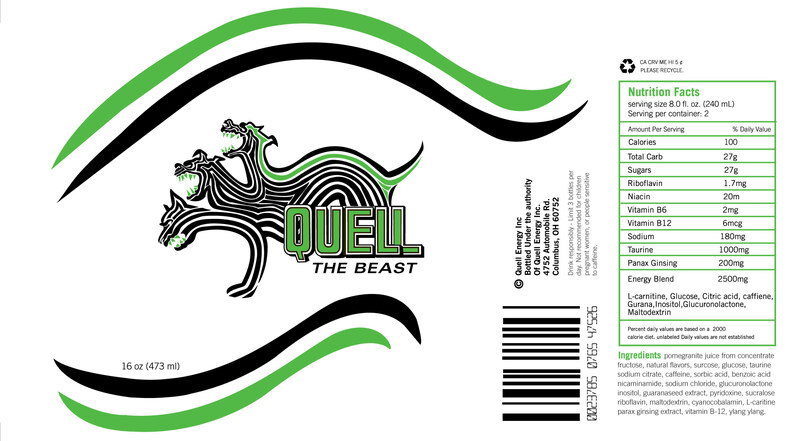 This is a product design/identity system for a new energy juice beverage named "Quell the Beast." 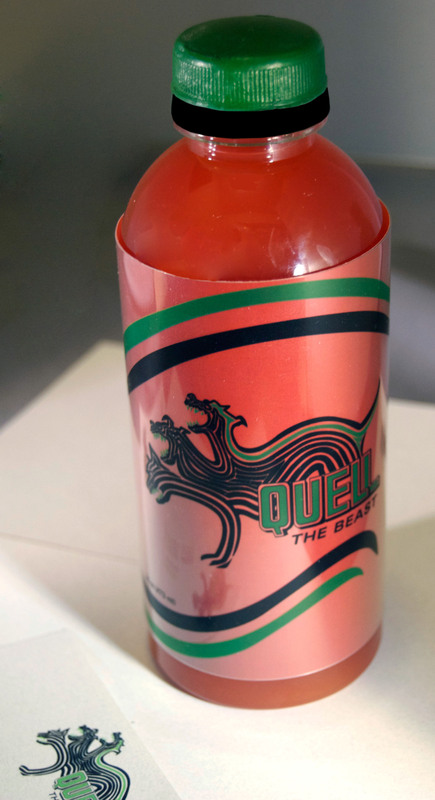 The Base of the drink is Pomegranate juice and the design is based on the Greek Myth of Hades and Persephone. 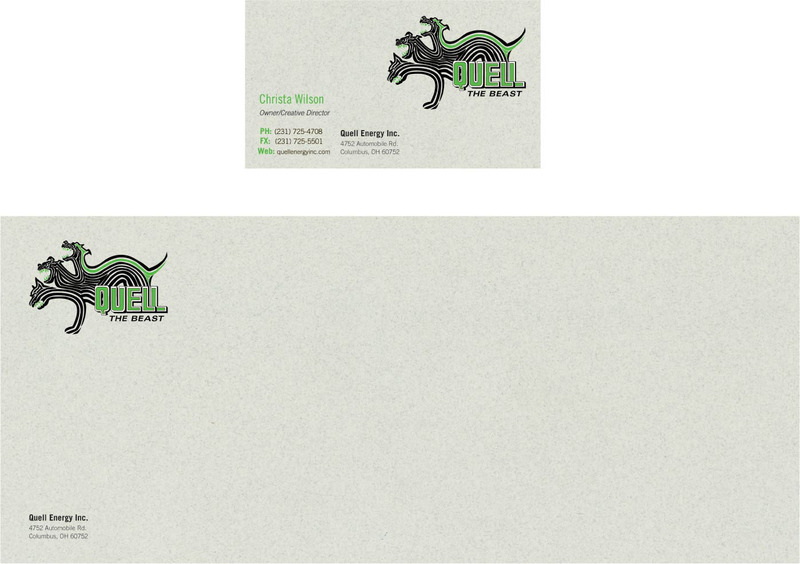 Logo strategy: The primary color scheme selected is Pantone green 361 and black. These colors were chosen for two reasons. First, green is the complementary color of red (the color of pomegranate juice) and second, green is a color that ties into the themes of earth & nature (Themes that are presented in this myth). This color set is also reflective of the bright green field of grass where the story begins. 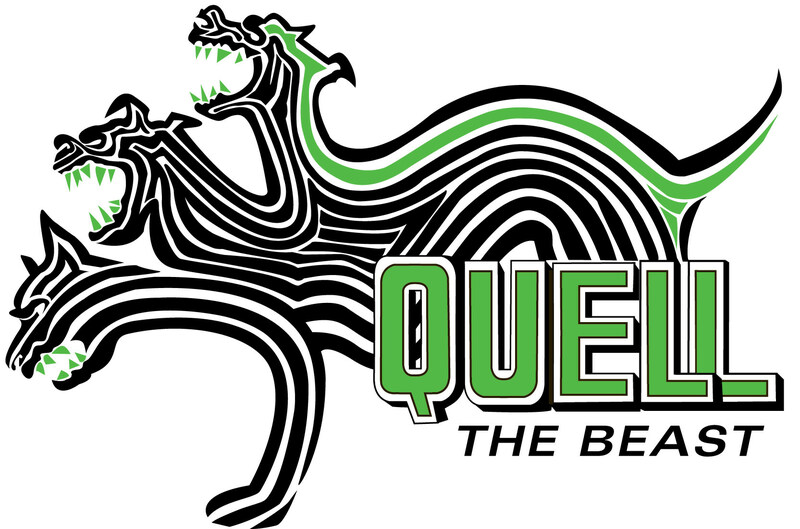 This mark, which is composed of several contour lines, portrays the three headed guard dog of Hades; Cerberus. Cerberus is used here because he a symbol for Hades himself. I focused on the male side of this story to appeal to the intended target market of men between the ages of 18 and 29 years of age. The logo in this signature is an illustrated typeface that I drew - inspired by fruit labels from the 1930s. The outline and three-dimensional qualities of this face are intended to create a bold, masculine, and sporty feel. 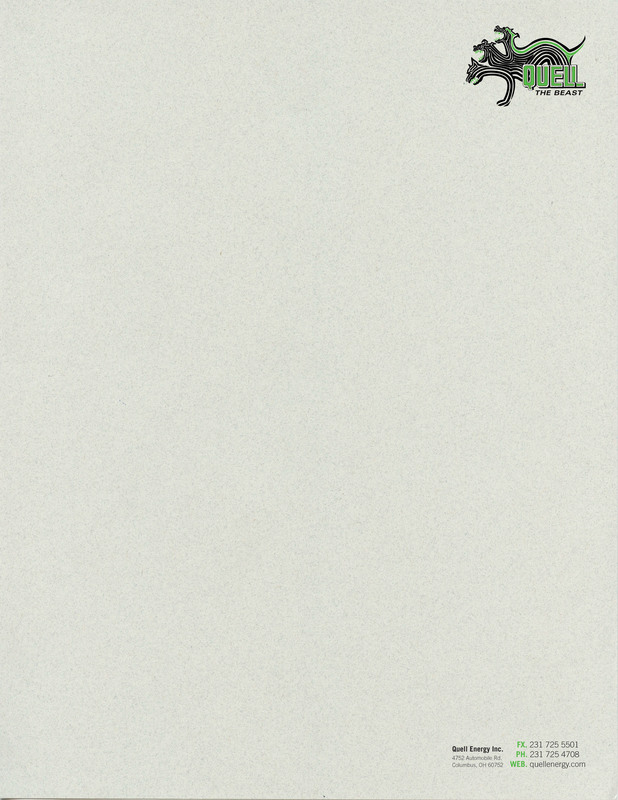 It overlaps the pictorial mark to give the signature weight and ground it to the page. 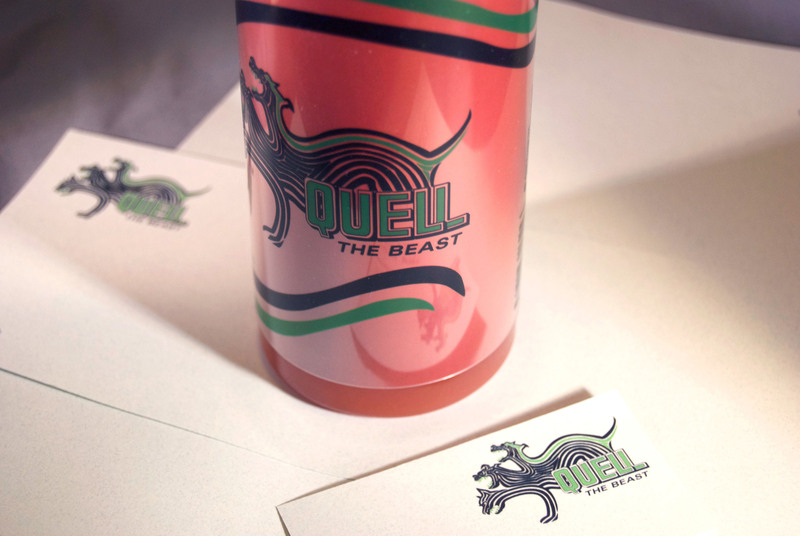 The tagline, “Quell the Beast,” is used to imply that the customer is going to quell their thirst and sleepiness. The tagline employs the typeface: Univers LT Std bold extended oblique. The Trade Gothic type family is used for all of the business stationary applications, because it is a clean and modern typeface that has a large family yielding to the creation of good hierarchy.